Lovely ones! Thankyou for all the love you guys have been pouring in! Its more than overwhelming ! !Me and Shubha were so excited about starting this blog together that we instantly decided on meeting last weekend. (Convincing the hubbies wasn't a problem as they both wanted to do the same) Again, win-win right? We reached on Friday and went crazy hugging and shouting! #thingsgirlsdo 👯But trust me, it was epic! I mean, before it was merely us- now we were partners to something so close and seeing each other just brought in all the emotions we had. We had so much to do and so little time. 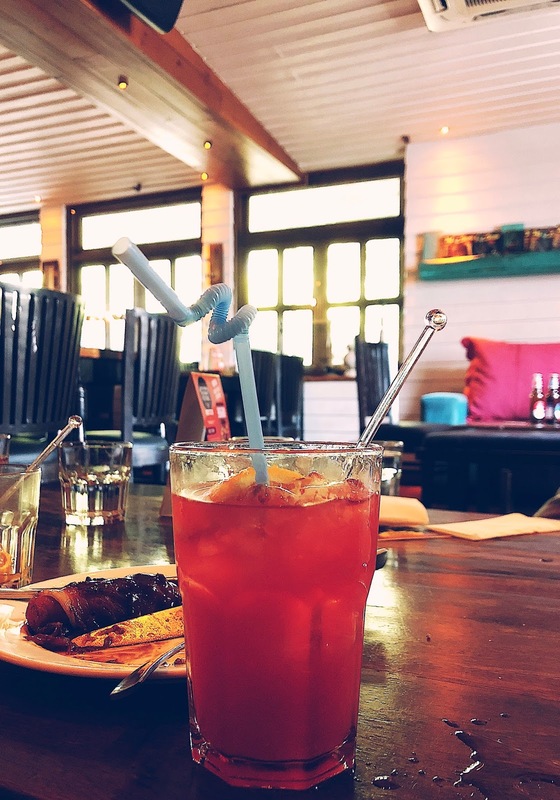 First we decided on dressing up and grab a drink - and what place better than "The Summer House Cafe" in Hauz Khas. I mean Chris Martin was once there, so ha! We did not over do the dressing up part but kept it chic like! Reaching the cafe, we were so impressed with the decor inside (last time I was there, we couldn't get a table in so didn't get to see much), but this time walking in, we just kept clicking pictures of every corner possible! The most that impressed me was a wooden door hung on top of our seating are with glass panels in. They had dropped some thinly lights on it and hung it like an electrolier. Pretty impressive! The place was something of everything- Contemporary, Scandinavian, Rustic and of course, Bohemian. People who've been there would defs agree with me! It was clean, had essence floating in the air AND IT HAD TISSUE PAPERS -hard to find these days! We sat there for like a couple of hours as we had a wedding to attend to later. But while we were there, we tried almost every cocktail they had to offer. We were lucky enough to be there during the 'Happy Hours', where drinks were One on One! Because we were on a drinks-spree, boys decided to stick to Bira (The beer of all times) - #heaftybillkills! People, our diets went flying of the window and we were hogging like we've never seen food before! Oh! but it was worth it. And can I tell you, our bill wasn't much. Didn't pinch the boys at all! We were shocked! Stay Tuned for what happened next! PS: If you haven't already, GO Follow us on INSTAGRAM!! The complete "New Delhi Vlog" is up on Insta-Stories! Wow ! What delightful description of sojourn to the Capital ! *Summer House Cafe* listening !